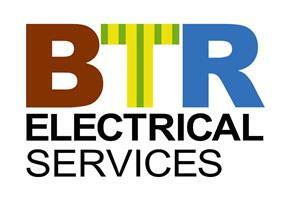 BTR Electrical Services - Electrician based in Wolverhampton, West Midlands. BTR Electrical Services offer all electrical works for any domestic, commercial and industrial premises, from light fitting changes to full rewires with testing, inspecting and Building Regulations Part P Notification and Certification provided on completion as required. As a STROMA certified installer (STRI17077) and TrustMark registered trademan with 10 years experience in electrics we offer a friendly, professional and affordable service with an 'attention to detail' approach to all projects. We take pride the work we do and the final product is very important to us. In a very competitive market we are committed to provide the highest standard product/workmanship at very competitive prices. Whilst we are based in Wolverhampton, we serve both locally and nationally throughout the UK.